I`ve been illustrating one of three posters for the annual exhibition (15. - 18. 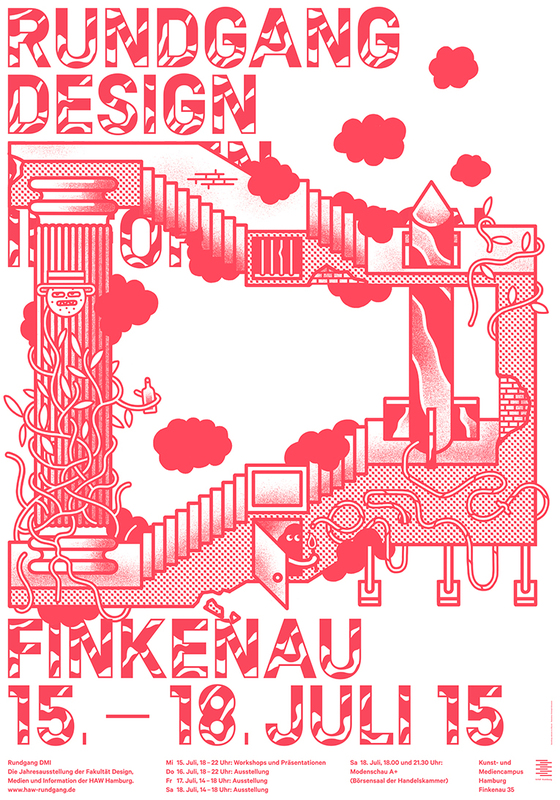 July) of the departents Design, Media and Information at the University of Applied Sciences in Hamburg. The Design of the poster was done by Villa, a design-studio based in Hamburg. Ich habe eins von drei Postern für die Jahresausstellung (15. - 18. Juli) der Fachbereiche Design, Medien und Information der HAW Hamburg illustriert. Das Design der Poster hat das Design-Büro Villa, ebenfalls in Hamburg ansässig, übernommen.